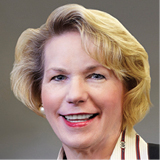 Mary Anne MellowMary Anne Mellow (pictured) is a shareholder and Timothy R. Tevlin is an associate, Sandberg Phoenix & von Gontard P.C. Ms. Mellow also is Transportation Committee Chair for the International Association of Defense Counsel. Key components of the bill of lading unexpectedly changed in August 2016. While the changes may appear subtle, the implications sent shockwaves through the transportation industry. As the new standard approaches one year, it is important to re-visit the newly adopted terms to mitigate potential pitfalls. The uniform bill of lading is the default form contract that shippers and carriers use to designate the terms of carrier liability, shipping information, time requirements, insurance, and claims stipulations. The bill used to impose limitations that generally placed the burden of proof in liability disputes for damaged cargo onto carriers, and set forth requirements for carriers to limit liability. The new standard, however, imposes liability only for carriers "shown as transporting the property" on the bill of lading when damages occur. It also changes time requirements for carriers to complete deliveries, appearing to extend delivery time from reasonable periods to within the regular course of providing transportation services. More dramatically, the update shifts the burden of proving negligence in transport from the carrier or party in possession to the shipper. The change forces shippers to assume the burden of proving carrier negligence if cargo is damaged. The revision appears to favor carriers, and it may create significant hurdles for shippers to clear to avoid liability if products are damaged in transit. For unwary shippers, business as usual may continue until, ultimately, something bad happens. Once cargo is damaged or destroyed, and the inevitable fingers of blame start searching for the liable party, it will be too late. But if shippers have adopted the update in the transaction, the new standard's terms and limitations will control. Shippers can be proactive to limit liability in a number of ways. It is important for every shipper regularly relying on the uniform bill of lading to read the revision and understand its effects. Shippers must make sure the bill of lading identifies all parties to the transaction, including the actual carrier name (not just the broker). Shippers must file claims as quickly as possible following an incident, and certainly within nine months of executing the bill of lading. Shippers should be vigilant when discussing their shipment expectations, and, if possible, delivery dates should be explicit on the bill of lading. While these steps may help to ensure the proper parties are named and the claims are not time-barred under strict interpretation of the updated standard, the burden of proof remains a significant obstacle for shippers throughout the industry. Truly, the only way to avoid the risks the update imposes may be to move away from using it entirely. After reviewing the revision, shippers should weigh the risks of liability against the costs of using their own modified bills of lading or independent shipping contracts. Shippers who invest early in planning, understanding, and foresight, may avoid significant potential liability down the road.